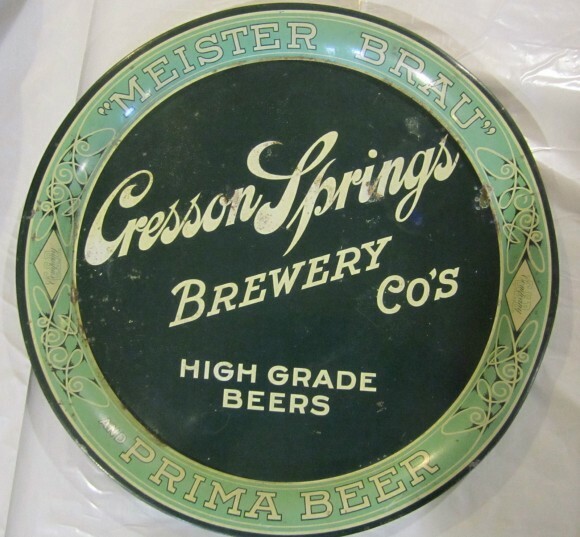 Serving Tray for Meister Brau & Prima Beer from the Cresson Springs Brewery Company. This tray has great detail in the design of the border on the rim and there is a pleasant contrast between the dark and light greens. Cresson Springs appears in a tight script font and this pre-prohibition tray shows that elaborate illustrations are not the only way to catch a collector’s eye.